All music and lyrics in the audio player above were written and produced by Sam Godin except those marked with * were *co-written with the artist listed. FRKWYS VOL. 7 Borden, Ferraro, Godin, Halo, Lopatin. Minimoog, computer, keyboards, co-writing/production. All live improvized synthesizer sessions. Earthdriver (self-titled). Keyboards, sound-design, co-writing. Featuring: Jeremiah Hosea, Imani Izuri, DJ Oja, Swiss Chris, Bemshi, Mark Lesseraux, Peter Prince. 2009, earthdriver.org. Ryukyu Underground: Ryukyu Remixed. Production, keyboards, guitars and remix by Sam Godin (as "Dubfarm") 2004 Respect Records (Japan). Karsh Kale and Realize: Liberation. Keyboards, atmospherics, programming, co-writing. Produced by Bill Laswell. Featuring Zakir Hussein, Madras Chamber Orchestra. 2003, Six Degrees Records. Earth n Bass Compilation: "Baba Hanuman." Produced by Rick Rubin. 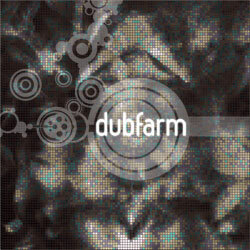 Remix / Additional production by Sam Godin as "Dubfarm." 2003 Polygram/Triloka. John Brown's Body: This Day. Rhodes Hamond B3, melodica. 2000 Shanachie Records. John Brown's Body: Among Them. keyboards, melodica, production, composition (with JBB). 1999 Shanachie Records. VIDEO CLIPS: ORIGINAL MUSIC AND SOUND DESIGN BY SAM GODIN. 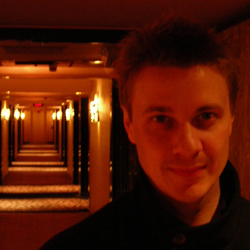 Samuel Godin is a composer, sound designer, keyboard player and producer living in New York City. His original music can be heard on film and television soundtracks (HBO, NBC, PBS, Nickelodeon, Mirimax), album releases and remixes (Universal, Six Degrees, Schanachie, Putumayo) and on many familiar national television advertising campaigns (including Pepsi, Cheerios, Viagra, Olay and many others). He has written music for some of New York and LA's top production companies and advertising agencies (DDB, Saatchi & Saatchi, D'Arcy, Bates, McKinsey & Company) while also maintaining a busy schedule of performing, touring, songwriting, and working on independent projects. As a performer, he has played keyboards, synthesizers and electronics (as well as writing, arranging, and recording material) for many influential genre-bending innovators such as John Brown's Body, Earthdriver, Karsh Kale, Mother Mallard, Falu, Dubfarm, and the FRKWYS Ensemble, among others. To date, he has performed in over 1200 concerts, touring worldwide which has given him the opportunity to share stages with luminaries such as the The Wailers, George Clinton, Jimmy Cliff, Carlos Santana, Keith Emerson, Zakir Hussein, Lauryn Hill, KRS1, Paul Oakenfold, Damian Marley, Noam Chomsky, Ray Kurzweil and Bob Moog. Both live and in the studio, Sam is adaptable to many different kinds of technology. He often uses multiple computers, keyboards and musical effects on stage, but at other times may play an entire set with only a melodica or a minimoog. He has also had many years of experience as a professional studio engineer and Protools mixing editor, and has recorded and produced a variety of talent. Not surprisingly, many of his recent projects blur the lines between studio production and live performance. Cases in point are collaborations with Earthdriver (a co-operative of artists, performers and social / political activists), FRKWYS Ensemble (a 5-piece all-synthesizer group), as well as numerous original tracks and remixes for other artists he has produced using the alias Dubfarm. Some Dubfarm official releases include tracks for Tanty Records (UK), Putumayo Records (US), Ryukyu Underground (Japan) and Krishna Das (Triloka) produced by Rick Rubin. One of his most ambitious remix projects to date was "Satyagraha Remixed", which started as collection of music he wrote and remixed, inspired by the popular Philip Glass opera Satyagraha. He was then invited by the English National Opera to help plan and curate an extended multi-media "live remix" event where he performed and presented the music at the London Coliseum. Sam studied visual arts and film at SUNY Binghamton and then went on to graduate from Cornell University with a BA in Theater Arts with a concentration in music. He started playing piano at age 11, and wrote his first song at age 14. Although most of his work since then has been as a keyboard player, composer for soundtracks, or sound designer, he is currently producing an album featuring his songwriting with lyrical content and a variety of guest vocalists. After the success of their 2011 RVNG record release, the FRWKYS 7 Ensemble will now take the studio sessions to the stage at this 4-day event feautring cutting-edge electronic artists from around the world. London Coliseum (English National Opera): London, England. "Satyagraha Remixed" Special event featuring original compositions and remixes by Sam Godin inspired by Philip Glass's opera. Also featuring Falu and Anna Meredith. BAM (Brooklyn Academy of Music): New York, NY. Playing keyboards / laptop for both "The Citizens" and Earthdriver. World March for Peace: New York, NY. Kick-off party for world's largest Peace March ever organized, taking place in 45 countries worldwide. with Earthdriver. With Earthdriver (hosted by Majora Carter). Harlem Riverside Church: New York, NY. Arranged original music with Earthdriver for special media event featuring Noam Chomsky. United Nations Building: New York, NY. With Karsh Kale and Baaba Maal. Special concert celebrating 300 years of Keyboard Music. With David Borden and Mother Mallard, Keith Emerson, Bob Moog and Ray Kurzweil. World Music Quest: Los Angeles and Tsumagoi, Japan. Performed with the Tribulations to an arena crowd in a showcase event which was televised in over 40 countries worldwide. Mr. Godin was also awarded "Best Keyboardist" award. Marley Family Concert: Miami, FL. With John Brown's Body. Featuring Lauryn HIll, Carlos Santana and Ziggy, Rita, and Damien Marley. Reggaesplash: Jamaica, West Indies. with Tribulations. Featuring Black Uhuru, Yellowman, the Marleys, Sly and Robbie.